The Wellington Collegians Cricket Club was originally formed at a meeting held in the Ship Hotel on November 14th, 1849. At that meeting officials were elected and the name chosen and so was born the Wellington Cricket Club. The Wellington Cricket Club continued as a leading club in Wellington until 1970 when it amalgamated with the Wellington College Old Boys Club, which was formed in 1899. This produced a name change to Wellington College Old Boys Cricket Club in 1973. The Wellington College Old Girls Club amalgamated with the Club in 1976 and this led to the name change to Wellington Collegians Cricket Club. 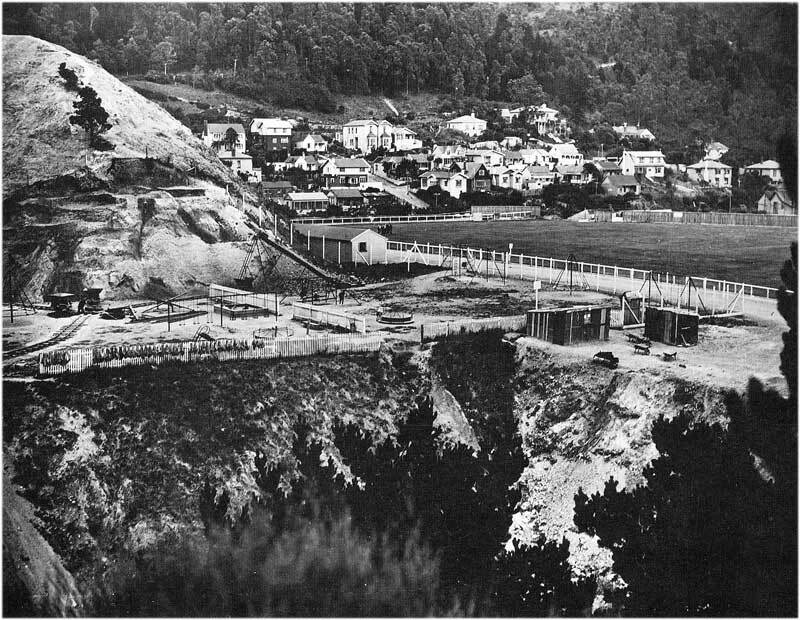 For many years the club used dreary unsuitable rooms at the Basin Reserve. In 1960 it approached the City Council suggesting the Club and Council would jointly build a new pavilion at Anderson Park with part of the building reserved exclusively for the Club. Council agreed but it was eight years before the dream became a reality. Historically Collegians has always included "characters" among players guaranteed to liven up any social gathering, because cricket by its very nature is a social game. It has always been a challenge to maintain the right balance between the discipline needed on the field to win a championship and the fun loving atmosphere we foster in our club rooms. Ken Tucker is still the only bowler in Wellington cricket history to take 9 wickets in each innings, a feat achieved against Petone in 1915. He took nine for 46 in the first innings, and had exactly the same figures in the second. The highest aggregate ever made by a Wellington club cricketer in one season was 1259 runs by Penny Kinsella in 1992-93. Her average was 89.95. She also scored over 1000 runs the previous season. Collegians has won its share of competition titles through all grades. It has produced many Wellington and New Zealand representatives . As the oldest club in Wellington it has a remarkable history, but we also believe you must look to the future and be innovative and forward thinking to continue making history.